Experience the horrors of a haunting that's never the same twice. Paranormal is a 3D fully dynamic haunting experience. The player takes the role of Mattel Clarke, an artist who has a haunted house. Mattel decides to film the hauntings with his camera, which is the viewpoint of the game.The player controls the camera as the hauntings slowly but surely escalate into something far worse and more horrific. With multiple endings, a different experience every time, top-notch graphics and sound, Paranormal is a constantly evolving indie horror game. Dynamic Haunting: I've designed the dynamic haunting system that will allow a randomized experience, adding multiple outcomes, dynamic triggers, countless variables, and an action-reaction system. This will make your experience with the game much more unique and memorable, without missing out on anything important. Free Content Updates: Paranormal will receive free content updates that add new locations, stories, scenarios, scares, gameplay mechanics, and more! You will NEVER have to pay for DLC in Paranormal. The game's content is planned to double or even triple with each major content update. Sleep System: Sleeping in your bed recharges your camera's batteries and also has a chance of triggering other events. Insane Sound Design: Paranormal was designed for surround sound and headphones to create the ultimate audio horror experience. First-Person Camera (Found-footage style): Much like in the movies 'Paranormal Activity' or 'The Blair Witch Project' (Not associated with those films, just inspired by them), the viewpoint will be that of a camera being held by a person (the player). Effects like camera shake, pixelation, video distortion, audio distortion, and motion blur will all be present thanks to the camera screen-space shader I built for everything. Horrific Story: Uncover the house's troubled and gruesome past through hauntings, journal entries from the previous owner, and more. Steam Trading Cards: Because one can never have enough of those things! Mac Version: A Mac version is available and will receive updates alongside the PC version. Full Controller Support: Work has already started on making the game fully gamepad-compatible. 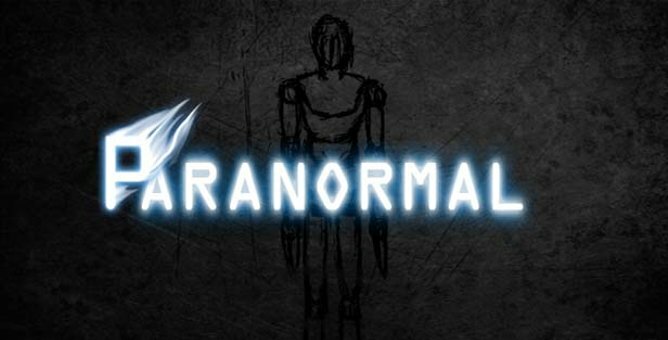 VR Support: Paranormal will receive Virtual Reality support, free to owners of the game. Steam Cloud Saves: For those who hop between machines. Translations: The game's text is planned to be translated into German, Swedish, and Spanish. If your language isn't on that list, please request it in the forums. Persistence: Some sort of persistent scoring system is planned, adding more replay value. Unreal Engine 4 Remake: The entire game is in the process of being remade using Unreal Engine 4. This remake will be available as a free update to owners of the game. Paranormal - Copyright © All Rights Reserved.